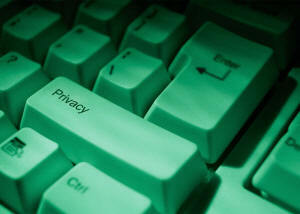 We adhere to strict business privacy principles and make every effort to protect everyone's privacy rights. Investigative Professionals collects, retains and uses information about its customers that is required by law to administer our business and provide high-level services to our clients. We retain information no longer than necessary to meet such legal obligations. All Investigative Professionals employees are well-informed about the importance of privacy and confidentiality. Only those employees having a legitimate business reason, such as Report compilation for knowing a customer's business and/or financial information have access to such information. We maintain rigorous security standards and procedures regarding unauthorized access to customer information. Our Web site is encrypted. Investigative Professionals provides information about customer accounts or other business related identifiable data to third parties only when: 1) the information is provided to help complete a customer initiated transaction; 2) the customer requires it; or 4) it is necessary to process transactions and provide services. If it is necessary to provide business related identifiable customer information to a third party, Investigative Professionals shall insist that the third party adhere to similar privacy principles that provide for keeping such information confidential. Our customers have the right to know what information is kept about them and how the information is used. Customers have the right to have any inaccurate information corrected or deleted.